The first step in setting up a trucking business is to write a business plan. It presents the main focus of the business and a clear plan for how it will work. This document presents the main focus of the business, its mission and goals, and its clear plan for how the business will operate. Creating a business plan for a trucking company requires a careful look at the operational and financing specifics of the business within the requirements of the trucking industry as a whole, as well as the individual objectives for that company. If you are a truck driver and you are looking for cheap truck dispatch company. We are ready to offer you our affordable dispatch services. If you don't know what dispatch company do and how to dispatch trucks go here. Describe your trucking business in detail. Write down a description of the business that you are starting, including your reasons for starting it and the specific type of trucking that you will do. Make notes about the cargo that you intend to haul and the companies that you intend to work for. Remember that trucking companies specialize in carrying goods from one location to another instead of actually supplying those goods, so you need to have or begin developing relationships with the companies that manufacture the items your drivers will transport. Identify the financial costs and expected gains from your trucking business. Describe the capital that you currently have or can obtain (such as through loans or grants), and specify the costs that you anticipate for running the business, including employee pay and insurance and licensing expenses. Note the number of trucks you plan to have, and pinpoint the cost of purchasing, driving and maintaining the trucks. Cover such details as cost and expected return for the first three months to provide yourself with a clear financial goal as you get the business off the ground. Describe the marketing and advertising that will support your trucking business. Decide if you will hire an outside firm or keep the marketing in-house. Allocate the costs for marketing and advertising, taking into consideration how much you want to spend on marketing the business and how much of a return you expect from the marketing. Specify the type of marketing that you will use, whether it is in the Yellow Pages or in trade magazines. Utilize charts and graphs that will show projected results. Identify the management and operational details for your trucking company. Specify who the drivers will be and how you will hire them. Reliable trucking companies have highly credentialed and experienced drivers who are familiar with maneuvering the highways and getting the cargo to and from their destinations in time. Explain how you will maintain the licensing requirements for trucks and drivers and how you will implement health and safety regulations for the company. Knowledge of legal requirements for operating a trucking business. 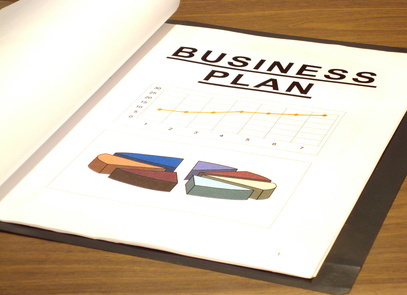 A business plan is not merely a personal plan for a business’s development. Banks and grant agencies require business plans before they will provide the financing for the company. A clear business plan that shows how you plan to operate the trucking company and offers graphs showing projected costs and growth will help you get the funding that you need.